I started these Twisted Socks late last week. 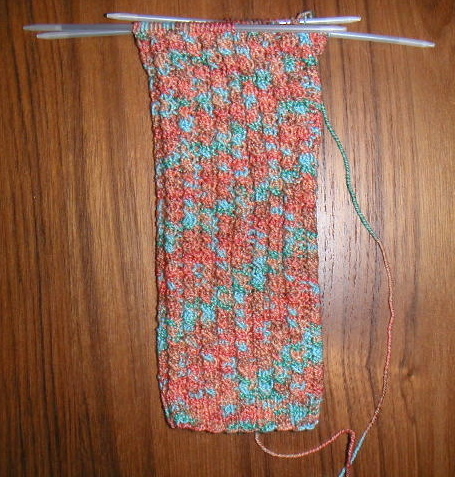 I am just about to begin knitting the heel on the first sock. The pattern and yarn (called Dancing) are from Knitpicks. I've used this pattern before and it's a fun knit with the two-stitch cable. I thought I'd work on something quick while I try to find my next sweater project.